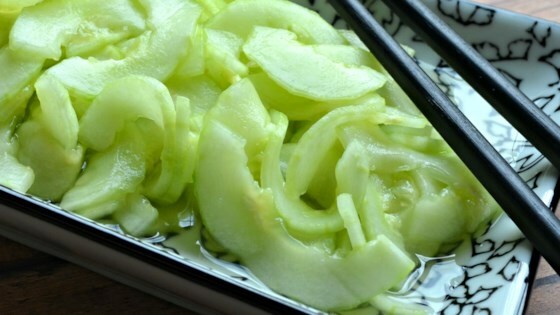 "A Japanese recipe for cucumbers marinated in vinegar, sugar, salt and ginger. Delicious and simple!" it was so-so. Too sweet. Very good! The only part that takes some time is the cutting of the cucumbers. I omitted the ginger because I did not have any at home, but it still was delicious!